„In Bonngasse Twenty the pianist must survey those practices in which intellectual resources are most acutely concentrated on the production and exploitation of risk, and to uncover the conceptual underpinnings of methods developed to extract value from contingency. The key message here is ‚contingency‘. 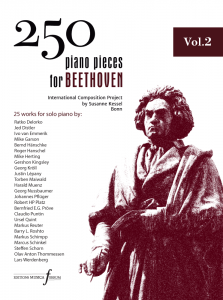 It’s more appropriate than ‚chance‘ or ‚indeterminate‘ in defining the process of this performance honoring Beethoven’s 250th birthday in 2020.
is a composer, instrumentalist and neologist. His work has been programmed by leading contemporary music ensembles and his scores have been published and exhibited in art galleries throughout the world. 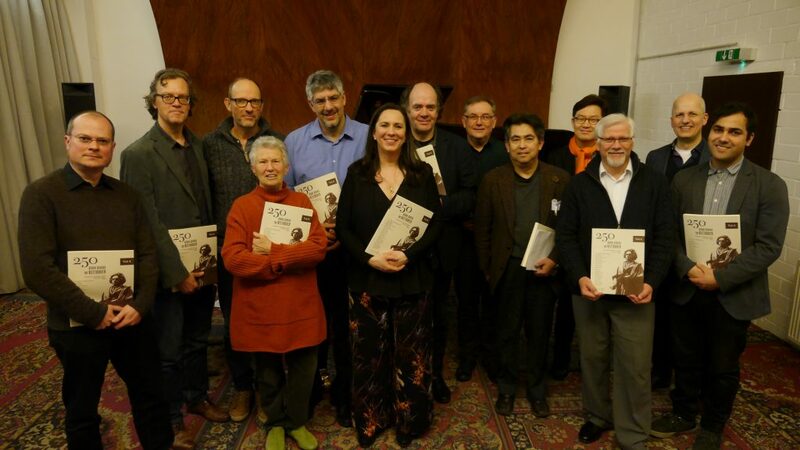 Bil’s compositions have been performed by specialist ensembles and soloists including members of the San Francisco Symphony Orchestra, The Düsseldorfer Symphoniker, St. Petersberg Philharmonic Orchestra, Kyushu Symphony Orchestra, Helsinki Philharmonic Orchestra. Schoenberg Ensemble Amsterdam, Ensemble Gelade, Qingdao Symphony Orchestra, Dresden Philharmonic, and Oslo Sinfonietta. Early in his career as a jazz trumpeter, he performed with the Thad Jones/Mel Lewis Orchestra, Anthony Braxton, Toshiko Akiyoshi, Gary Burton, Steve Lacy, Lester Bowie, Kevin Eubanks, Quincy Jones, Max Roach and Michael Gibbs. As a Neologist, Smith founded Addison Whitney, a consultancy dedicated to creating brand identities for global companies and organizations. Deeply rooted in the etymology and linguistic foundations of words, Smith created a dynamic new system of word generation, which led to the creation of the brands Viagra (Pfizer), Outlook (Microsoft), Escalade (Cadillac), Xbox (Microsoft), Lexapro (Forest Labs), Element (Honda), Advair (GSK) and Access (Microsoft). He has been responsible for the creation of more than 1100 brand names globally since 1991. He identifies himself as an interdisiplinarian composer, incorporating combinatorial techniques including neologisms, prose, painting, sculpture, drawing and combustion, as well as traditional elements of music composition to his work.